ABC Mouse BLACK FRIDAY! 1 Year Subscription Only $45! That’s $3.75/Month! ABC Mouse Early Learning Academy 1 Year Subscription Only $59.95! That’s $4.99/Month! 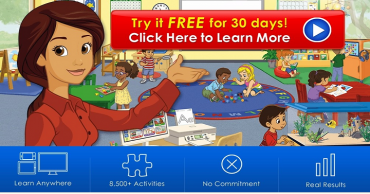 ABC Mouse Early Learning Academy FREE for 30 Days! ABCmouse.com: Get 12 Months for Only $45! That’s 6 Months for FREE!